Budget Direct home and contents insurance covers your property and possessions in case of fire, storm damage, theft and more. Winner of Money magazine’s Best of the Best award for Cheapest Home & Contents Insurance three years running (2017–19). We guarantee the quality of authorised repairs, including the workmanship and materials. If your house is unliveable due to an insured event, we’ll give you and your pets temporary accommodation for up to a year. Only about 20% of Australian homes have some risk of flood – you only pay for flood cover if you want to. If your belongings are stolen or damaged beyond repair, we’ll pay to replace them with new ones. Up to $20 million of cover for someone else’s accidental injury or death or for loss or damage to someone else's property at the insured address (home insurance) or anywhere in Australia (contents insurance). You can lodge an insurance claim over the phone or online at any time of the day or night, 365 days a year. Each year we’ll increase the amounts your home and contents are insured for – to help keep pace with rising costs. Covers loss or damage to your house and outbuildings due to events like storms, fire and theft, including the costs of repairs or rebuilding and temporary accommodation. Covers loss or damage to your investment property and any contents you provide for your tenant’s use; and loss of rental income while your property is uninhabitable. Covers loss or damage to the household goods and personal effects you own or are legally responsible for. Standard cover includes accidental damage to glass, ceramic and sanitary fixtures; Accidental Damage extends this cover (some exclusions apply – please read PDS). You can add one or more of these optional covers when you get a quote and buy a policy or – if you’ve already bought a policy – by contacting us or logging into your online account and editing your policy. These are the maximum amounts we’ll pay, so it’s important you’re comfortable the sums insured you nominate are sufficient to replace your home and contents you wish to insure, at today's prices. Getting a Budget Direct home insurance quote takes just a few minutes. If your home and/or contents are lost, damaged or destroyed by an insured event and you need to claim, we’re here to help. Make a claim on your home insurance policy. What’s covered under a ‘home’ policy’? What’s covered under a ‘contents’ policy’? personal effects like jewellery, sunglasses and cameras (if you want your portable items to be insured when you take them with you away from your home, you’ll need to get extra Personal Effects Cover. Is my home covered for floods? Your home will be covered for floods if you take out optional Flood Cover, which insures your home building and contents for loss or damage caused by flooding rivers, creeks, lakes, dams and other bodies of water. You can add Flood Cover to your home building and contents insurance policies when you buy your insurance; or – if you’re an existing customer – by logging into your online account or contacting us. Are valuables I take with me away from my home, like jewellery, covered? These items are automatically covered if they are lost or damaged while inside your home – subject to any limits that apply. Unspecified Personal Effects: Your portable items are not specified, or listed separately, on your policy. The most we’ll pay per item is $1,000. 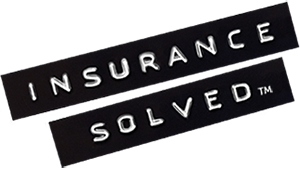 You are required to nominate a total cover amount for a group of items damaged or lost in any one insured event: $1,000, $2,000, $3,000, $4,000, or $5,000. Specified Personal Effects: Your portable items are specified, or listed separately, on your policy, with individual descriptions and values. You can add one or both of the above mentioned personal effects covers to your home contents policy when you buy your insurance; or – if you’re an existing customer – by logging into your online account or contacting us. Before you insure your jewellery, for example, we recommend you get it valued by a suitably qualified professional. Please keep your valuations and receipts of purchase in a safe place, as we’ll need to see them if you make a claim. Note that some portable items, like mobile phones and laptops, are only covered if they are lost or damaged inside your home by an insured event. *Based on a survey of Budget Direct Home Insurance customers conducted between 10 February 2015 and 31 December 2018. Visit www.budgetdirectreviews.com.au for more details. ‡Flood data based on analysis conducted by Auto & General Insurance Company Ltd. Subject to underwriting terms and conditions, please see PDS for details.